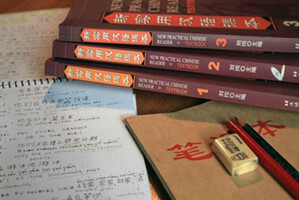 Many people wish to learn Chinese quickly, and do not have much time in which to learn Chinese. Perhaps they want to learn Chinese fast because they are busy or don’t have the patience required. Other students, however, may spend several weeks brushing up on their Chinese skills so they can meet an important deadline. 1 – It doesn’t matter if you have five minutes, five days or five months to learn Chinese, you can learn this language. All you have to do is spend some time every day learning new words. As time passes, you’ll find that these little study moments have added up. 2 – Be sure you get involved as much as possible in the language, living overseas if you are able. After all, living in the Chinese-speaking environment allows you to learn the language faster. If you can’t get abroad, you could learn it quickly at home by listening to and reading Chinese and speaking it with a live teacher. When you design a Chinese-speaking setting, you’re bound to learn the language much quicker than just enrolling in and going to a Chinese-language course. Go to YouTube to watch the top videos for several minutes. Many of these videos are funny. Look at the comments to pick up sentences and words you unfamiliar with. Be mindful though that there are all kinds of peculiar stuff in these comments. 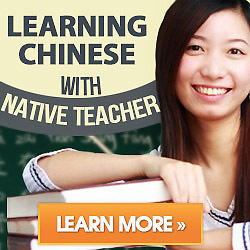 Another way to learn Chinese fast is to hire a professional Chinese instructor. This person can provide you with one-on-one instruction that helps you learn the Chinese language rules. He/she can teach you how to both speak and write the language. Consider placing an ad for the Chinese tutor, look through the Internet for local instructors or go to your local community college (or university). You can also go to the Internet to find an online Chinese teacher, and you’ll never have to leave home and learn on your own schedule. Start talking to yourself in Chinese – sing, talk about any topic, etc. – in great frequency and, before you know it, your pronunciation is going to radically improve. If you have Chinese friends on your Facebook list, check out their Chinese posts – videos and news to help you learn the language. Friends can be “free” teachers and can provide you with the best material to learn the language with. When you watch a movie, put the subtitles in Chinese to help you learn the link between the Chinese language and your native one. Yes, while you learn the language, you’re going to make mistakes. It happens. All you have to do is practice and practice some more. Remember, practice makes perfect to fluently speak the language. Clearly, there are a number of ways to learn Chinese fast. The method you choose will coincide with your preference and the time you have available to commit to this learning. It’s important that you choose the learning technique that best fits your situation and learn Chinese at your own pace. Additionally, you should always practice your Chinese skills whenever you have the chance. Remember, a language isn’t something you can learn in a day, but you will carry it with you throughout your lifetime.